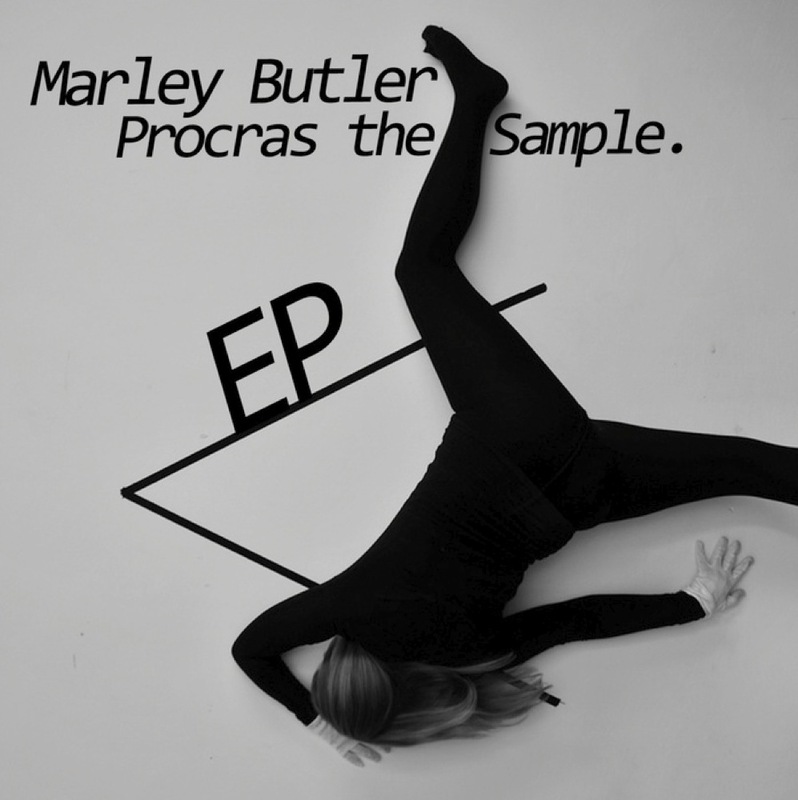 Marley Butler had something to do; but, he also had a new software sampler he’d downloaded for free. The something didn’t get done: but he did record this EP, which strikes me as some pretty darn constructive procrastination. Each tune was written, recorded and mixed in a single evening, and two of them were embellished by Jamie Osborne, who wrote and recorded vocals under similar time constraints. A third has Butler’s own self-effacing and reflective rhyming. There is a short coda, a mellow elaboration of some brass samples, before which the three tunes are presented in instrumental and vocal versions. Exactly what Butler’s reasoning is in doing this is unclear, although it pays homage to certain practices involving two sides of a piece of vinyl, and the tunes are short enough that it almost plays like an extended song structure when listening to the EP as a whole. Taking such a programmatic approach to the working process, rather than tweaking the product endlessly, has not, curiously, made the result sound unfinished or ragged; how much to read into the creative method when listening is moot. Clearly the EP is presented as a record of a process, which in a way gives it more in common with instrumental than other electronic recordings, and in a way it could even be regarded as a live session, or a species of field recording. These things only matter if you know how it was made however; an insight into the making of a work is always an insight into its meaning, but there is little, if anything, in the sound that can be directly ascribed to Butler’s self imposed restraints, and nothing in it to suggest them. These tunes have a soft and ethereal atmosphere, abetted by the relatively organic drum samples, and they are ambient in the sense of ambient dance music, not in the sense of the stuff that gets filed next to drone, in the imaginary record shop that actually stocks that sort of thing. They are pretty experimental in character nevertheless, with oblique and pleasingly strange lyrics. Sounds are treated much like pigment, and fitted into rhythmic structures that resemble drawn lines, to create something very visual, in a way that puts me more in mind of illustration than painting. The sound is gently involving, intriguing and thought provoking, and shows a great deal of creativity. More than that though, it shows a real clarity of artistic vision, in identifying the potential of his process, and having the conviction to carry it through and share what it generates. Butler has a very interesting compositional voice, and a sophisticated approach to the business of making art from sounds: I’ll be interested to hear what he comes up with next.